Happy Friday, dear readers! I hope you've had a great week and something fun planned for the weekend. I am about to head to the airport for a combination work trip/family vacation. We're going to be visiting the Big Island of Hawaii! To prepare for my trip, I made a quick trip to Kohl's this week to pick up a few last minute accessories to toss in my bag. It's been a while since I've gone a little blog giveaway, and this seems like as good a reason as any! I picked up a gift card for Kohl's for one lucky reader; the rafflecopter entry form will be at the end of the post, but until then, let's check out what I picked up! My budget is really tight as I'm staring at hefty medical expenses, and that means no new clothes for me this summer season. I tend to stick with solid colours and classic styles so that's not really an issue for me; I actually like not needing to buy clothing and just pick up a few new accessories to add to my wardrobe each season. I love to pick up a new scarf and/or a chunky necklace, but I went a little more practical this trip and got things I actually needed. 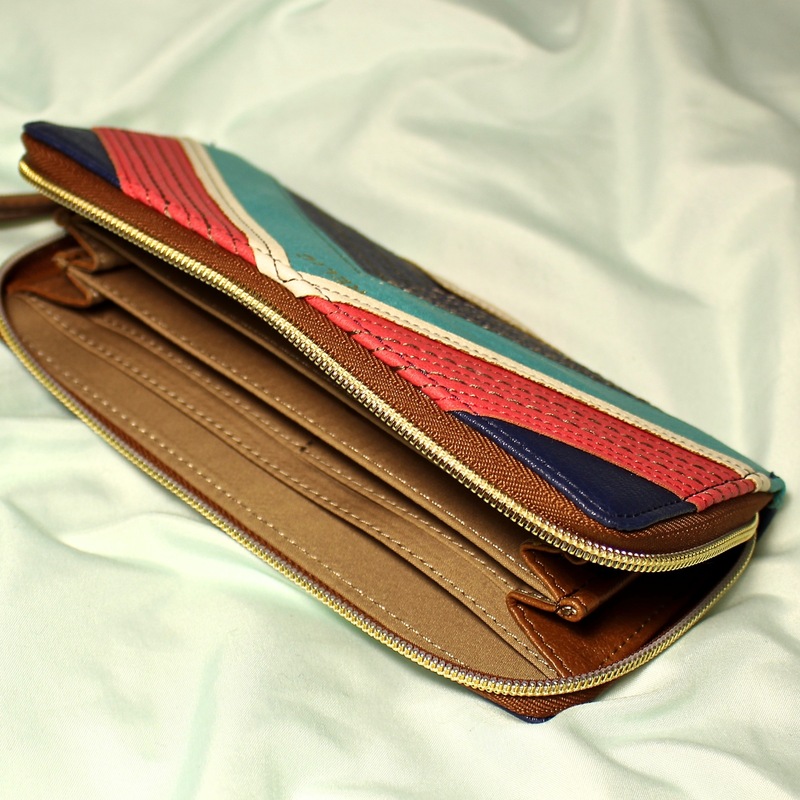 I love the colours in this Relic wristlet, and I took advantage of the sale price plus by bonus 30% off coupon to pick up this baby. With hauling extra stuff for the littles for the vacation part of the trip, I am so thankful to now have a thinner wallet to save space in my carryon bag, and if I ever get the chance to get out on my own without kids, I can just use it as a wristlet. The center area is open to accommodate a cell phone, so add my driver's license, a card, and some cash and I am all set to go on a nice jaunt in peace! 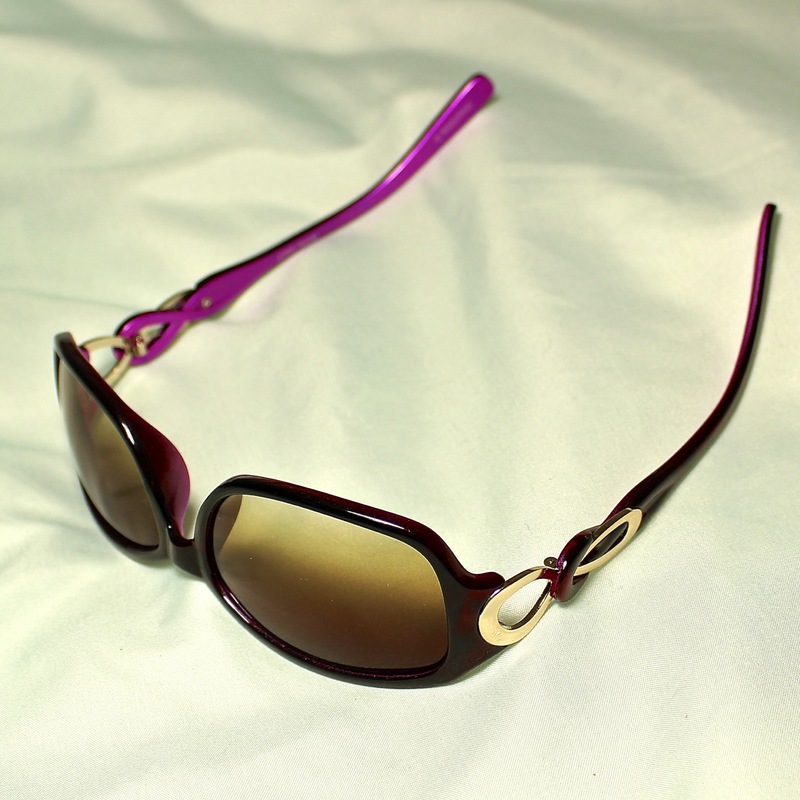 Regardless of whether you're in Hawaii or just staying at home, sunglasses are essential for protecting your eyes! I seem to always have the worst luck with losing my sunglasses, and I actually needed to pick up a pair for myself. This pair by Apt.9 has a cute locked loop pattern on the side, and the hidden neon purple inside screamed "Choose me!" as I was making my selection. They were also super affordable, a feature I definitely can appreciate since they may not make it back home with me knowing my luck with sunglasses! It may seem strange to you that I am now in California after living in Arizona for several years and I really don't like flip flops. I keep seeing everyone wear them everywhere they go, especially when the days are warm, but I tend to avoid them. With my high arches, flip flops just don't offer the support I need so I rarely buy them. 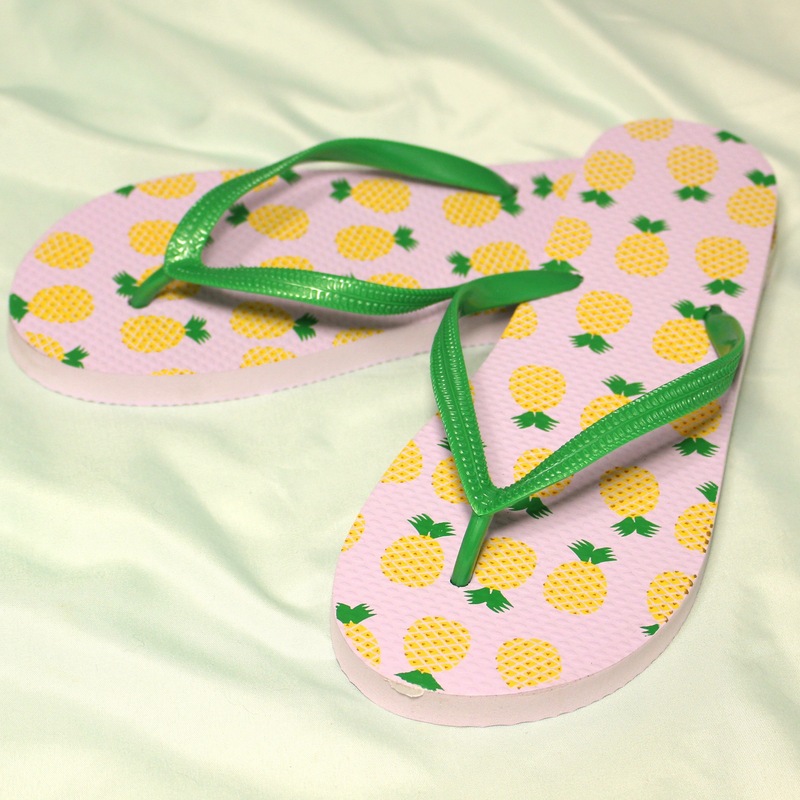 That said, I just had to have this pineapple-patterned pair by SO! I certainly won't be doing any hiking or exploring in these, but they're perfect for slipping on at the resort to head to the pool or nearby beachfront. They were marked down to only $3.99, so if when they fall apart by the end of the summer, I'll still feel like I got enough use out of them. Notice a theme here? I generally don't wear yellow metals but these pineapples were so sticking adorable I couldn't say no. My 4 year old was actually the one that saw them first and said we had to get them, and what kind of mom would I be if I broke his poor little heart when he so desperately wanted his momma to have pineapples for her ears? I know, I know, that's certainly a stretch for a reason, but I will happily sport these with my pineapple flip flops and the pineapple shirt I packed. Today is going to be a long day with a long drive to the airport, time spent in the airport, and then a super long flight squished like a sardine. A face mask after a travel day is always appreciated by your skin. 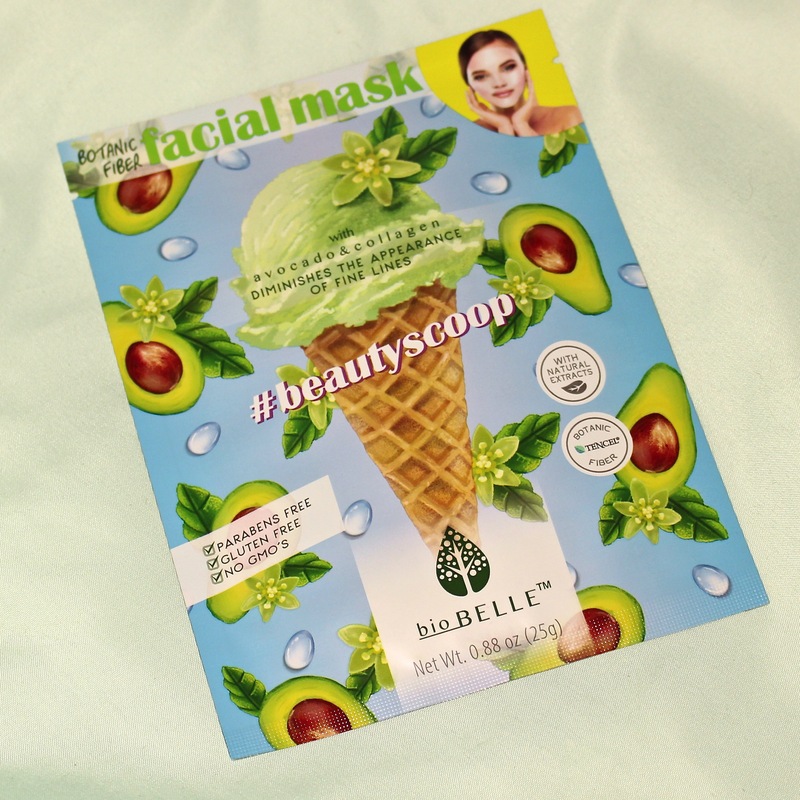 I picked up the BioBelle #beautyscoop facial mask for some extra pampering either later today or tomorrow morning before I set out on some kind of adventure. Other than the facial mask, everything I picked up at Kohl's was marked down, and with my additional 30% off discount, I ended up spending less than $30. I love that I have some fun pieces, including those that I actually needed, for such a great price! I wanted to do something nice for you for being such great supporters of my blog, and I picked up a $25 gift card for one lucky reader! Hopefully you can pick up something nice for yourself for the summer! Please enter the giveaway in the rafflecopter widget below! This conclude's today's post! Even though I'm out of town, I still will be posting while I'm away. I haven't decided yet if I'm going to actually take a vacation away from the blog just yet, but I'll keep you posted if I do end up taking a break. I would buy my daughter and I a summer top! I would buy sandals for my daughter. I'd like to buy some new sandals. I would buy some baby things for new baby due in November! Thank you! I would love to have a couple of nice new tees for summer in bright cheery colors! I would buy running shirts and running shorts from Kohls. 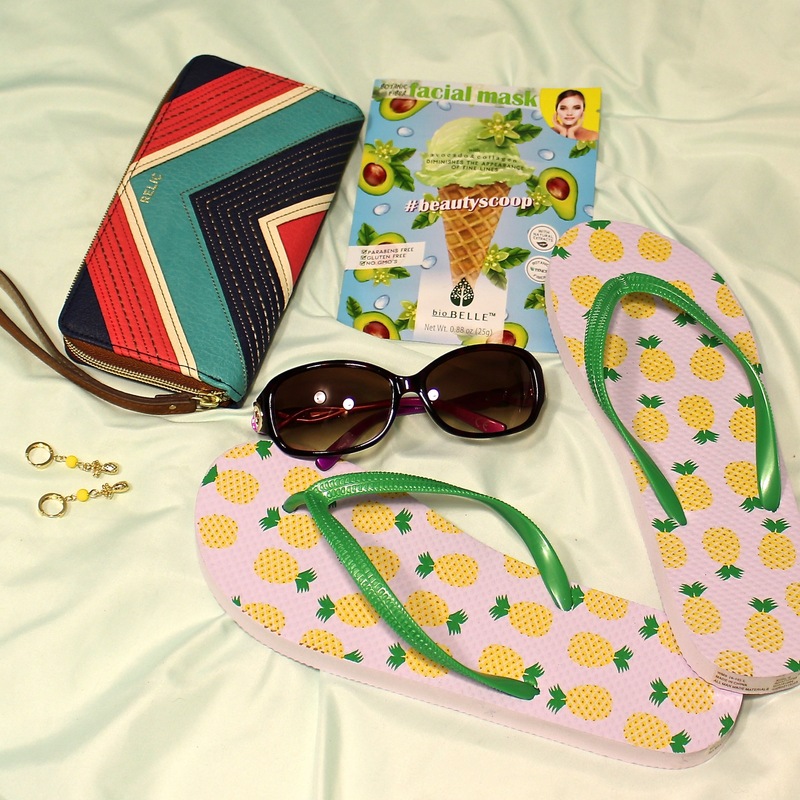 You bought some great fun things for summer. I don't wear flip flops but if I was lucky enough to make it to Hawaii I'd absolutely have to have some. Have a wonderful time. 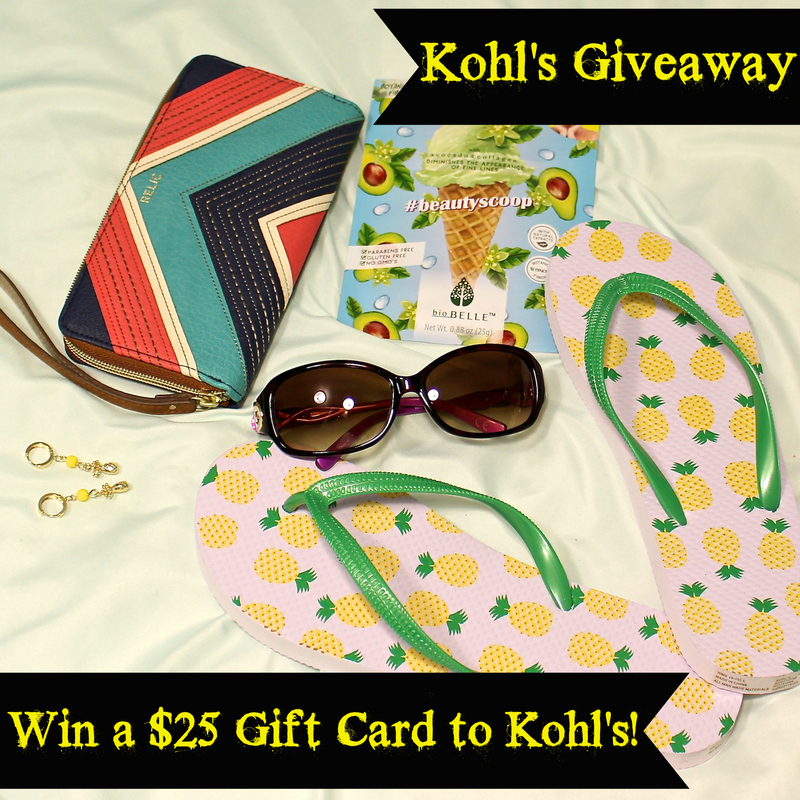 I love getting accessories from Khol's! Earrings, bracelets, etc! :) Thanks for the opportunity! I would get PJ for kids. I would love to buy a maxi dress. I love flip flops! I agree, they are not for serious walking, but I love them as house shoes and at hotels and the beach. I've actually never been to Kohl's haha but I just bought some shorts online. I would buy a new summer outfit for our vacation! I would buy some new short at Kohls. I'd probably get something for the kiddo. I get weird about buying things for myself. I just don't like it. I always feel guilty about it. I'm loving all of the pineapple things! I'd probably buy a new pair of shoes, because I definitely need some! Haha. I would get a pair of maternity capris to get me through these last few weeks of pregnancy! 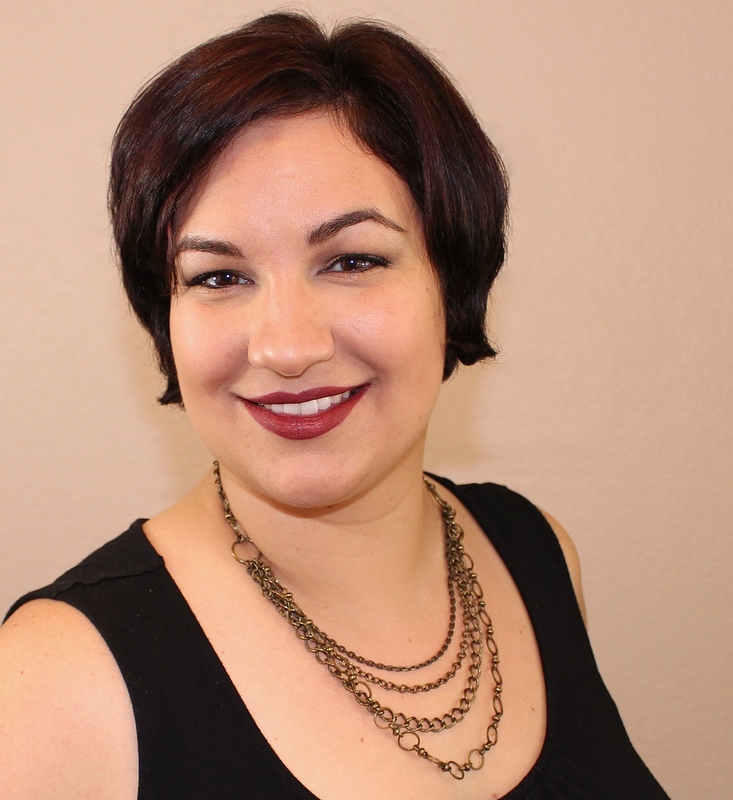 - Thomasina Archer @thomasinajacklyn on Instagram @thomasinaarcher on Twitter! I love shopping at Kohl's! I would probably get some shorts! I love Kohl's for purses and everyday shoes, bras too. I would treat myself to one or the other. I also don't like wearing flip flops. But have a great time in Hawaii, it's such a great place! The climate is so awesome. Walking down the beach with the breeze in your hair is so relaxing. I think I would get a cute summer top. My daughters birthday is June 22 and I would buy something to go with her birthday gift from me or I would give her the gc as part of her gift. I would buy a new swimsuit for my son. I would purchase new underwear and socks for my kids; hey, I got priorities. I would buy work clothes, or maybe some home decor/candles.